Is your home ready for Mom or Dad to move in? You’ve made the important decision to have your mom or dad come to live with you in your home. Congratulations! 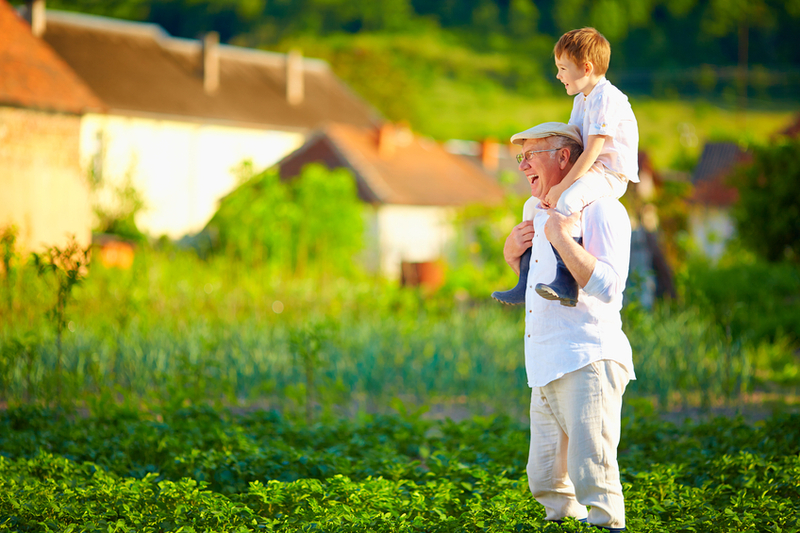 This new living arrangement has all sorts of positive results – a stronger relationship between the two of you, the chance to pay them back for all the nurturing they provided for you, the opportunity for your children to bond with their grandparents as well as develop a strong sense of caring and compassion. Outside Stairs. Even those few steps up to your front door may be too much, especially if Mom or Dad uses a wheelchair. A walker or a cane can be hazardous on stairs as they become less agile. Think of your front step on an icy or just a rainy day! You might consider putting in a ramp, and/or a hand-rail for extra stability for the front of the house, or even from the garage into the home. Bedrooms. Are all the bedrooms on the second floor? Climbing numerous stairs can be tiring as we get older, even if they are capable of doing it now. You may need to install a chairlift. Or perhaps there is a room on the main floor that could be converted to Mom or Dad’s bedroom – a den, office or playroom? You may have space elsewhere in the house you haven’t thought of using as you move rooms around. A basement or attic space could become that office you have to convert to a bedroom. Bathrooms. Even if you already have a bathroom on the first floor, if your new roommate is in a wheelchair, is the bathroom door wide enough to accommodate it? Will it need handrails and perhaps a different type of toilet? Privacy. Can everyone in the household make adjustments but still have the privacy they need? Noise. Mom or Dad might go to bed even before the children. Will the TV in the living room keep them awake? Headphones would be a simple solution. The kids may also need to use their headphones when listening to music (chances are it’s not the sort of music Grandma or Grandpa will enjoy). Of course, sometimes noise is just inevitable. Your parents might like a pair of earplugs or noise-canceling headphones for themselves. Once you have made your plans to alter your home to accommodate your parent, it’s time to get out the calculator. How much will everything cost? Is it affordable? Can Mom or Dad contribute to the alterations and/or to the monthly household budget? It would be good to involve your siblings in these type of financial discussions, which are never easy for anyone. With a little pre-planning, a few modifications, and lots of open talks, your new living arrangements will create a happy home life for everyone. National Resource Center on Supportive Housing and Home Modification.